Where does the word idea come from? What does the word idea mean? What does it mean to have an idea? What about the tantalising idea or question as to whether there’s such a thing as an original idea. Does an idea come from within the individual mind or our collective consciousness? Throughout history there have been countless examples of individuals or groups apparently coming up with the same idea independent of one another. Our ability to have ideas about what ideas are, have ideas and execute those ideas to bring about new physical and social realities is what makes us unique as a species on this earth. Are ideas birthed in the individual mind or in our collective consciousness? 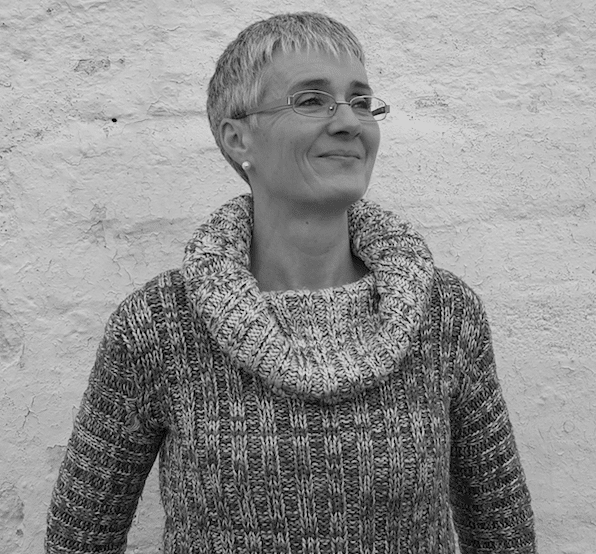 Anne Tannam is a Creative Coach and the author of two poetry collections ‘Take This Life’ (2011 WordOnTheStreet) and ‘Tides Shifting Across My Sitting Room Floor’ (2017 Salmon Poetry). Her third collection is forthcoming in 2020. Also a Spoken Word Artist, Anne has performed at festivals and events including Electric Picnic, Bloom, Craw Festival (Berlin) and Lingo. She travelled in 2016 to take up a writers’ residency in Chennai, India. Anne is co-founder of the weekly Dublin Writers’ Forum, an open and inclusive group that welcomes writers of all styles and levels of experience to share their work and expertise with one another. 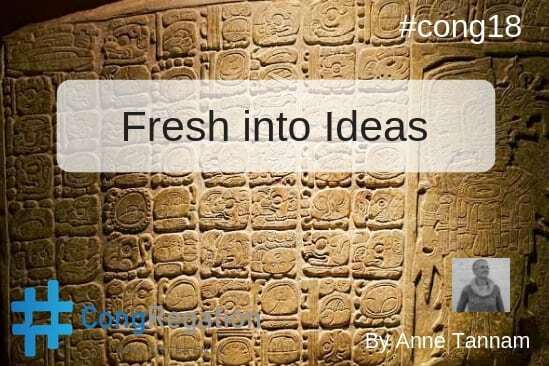 You can follow Anne on Twitter, connect with her on LinkedIn, browse her thoughts on her website or send her an email. Any ideas about how to write about ideas? What is an idea? No idea? Where does the word ‘idea’ come from? Like so many words we use in English, its origin can be traced back to ancient Greek – Idein, meaning ‘to see’ and still in Greek, ‘Idea’, meaning ‘form or pattern’, then into Latin before finally turning up in Late Middle English. What about the tantalising idea of whether there’s such a thing as an original idea. Does an idea come from within the individual mind or our collective consciousness? Throughout history there have been countless examples of individuals or groups apparently coming up with the same idea independent of one another. We’re all familiar with is the idea of taking an oral language and devising an alphabet to record it, and later, the idea of developing or devising a technology that would allow a people to print and publish those recordings (which allowed for the first time in human history ideas to spread far beyond the confines of one place or culture). At different times and in different places, the written word emerged because someone who thought of the idea, stuck with it and ran with it. Or an idea, like a baton, is passed from one person to the next, each adding their own spin to it, before passing it on to the next person, often decades or even centuries later, until finally the idea is perfected and executed. Of course there may have been many more who thought of the idea and didn’t run with it, just left it hanging there, unarticulated and unrealized. Thinking about ideas can leave us feeling dizzy but our ability to have ideas about what ideas are, have ideas and execute those ideas to bring about new physical and social realities is what makes us unique as a species on this earth. ‘With great power comes great responsibility’ (see, I robbed that idea from a bloke called Stan Lee!). As to the question of whether there is such a thing as a brand new idea; me, I like the idea that ideas can be both original and hand-me-downs at the same time. Take these blogs we’re writing: Eoin comes up with the idea of Ideas for the theme of this year’s Congregation (an idea that Eoin came up with a good few years ago, based on, but also departing from other people’s idea of what a conference is). We all came up with ideas for our blogs, drawing our inspiration from our own experiences and from the collective experiences of others. Many of us will have overlapping ideas but hopefully in our approach and execution we’ll bring something original to the table. Not a bad idea, eh?